Today’s travel trailers are lighter than ever. 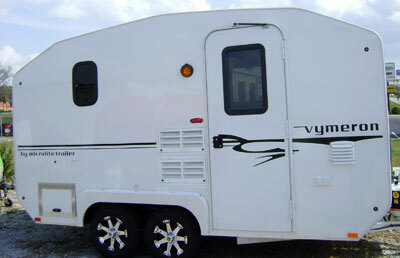 The lightest ones are even below 1000lbs, but due to their size-limitations, they may not answer needs of many RV-ers. The next group of travel trailers with weight ranging from1000 to 2000lbs, thanks to ingenuousness of engineers and designers opens “new horizons” for nature aficionados. Thanks to larger available space, they can provide almost “home away from home” environment, offer comfort we used to and still guarantee the “fuel economy”. Amazingly and for many surprisingly, these modern “technological marvels” may have amenities we largely believe are available only in big, luxurious campers. Well, time changed; today you may have “all that” in “lighter” version. And the real bonus is that you to use typical family car to tow your “baby” behind! In this article, we've compiled a list of our favorite lightweight travel trailers that weigh under 2000 pounds. 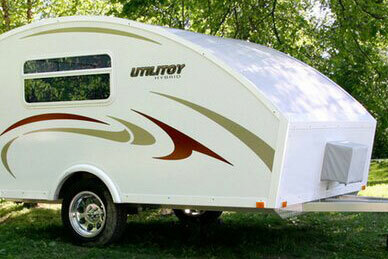 The Utilitoy is an interesting concept for a travel trailer. While it doesn't feature amenities such as a kitchen or bathroom, this lightweight travel trailer can be used as either a camper or a toy hauler. The entire floor space can convert into a bed, making it easy to fit four adults inside. When the beds are stowed away, this trailer can easily haul your ATVs, dirt bikes, or motorcycles. Even better, this trailer weighs only 1,020 pounds. The Taylor Coach Codester 14, 15, and 17 has an overhead cabinet/bunk, a Gaucho that pulls out into a bed, and a small dinette that also converts into a bed. There is ample storage space all over the trailer, while the kitchen offers your choice of appliances including a microwave, stove, refrigerator, and sink. The washroom can be outfitted with or without conveniences as well. These models are weighing 1,175 pounds, 1,257 pounds, and 1,450 pounds respectively. This all-aluminum camping trailer only weighs 1,300 pounds. 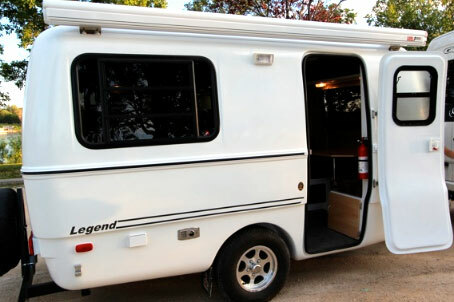 Though small, this travel trailer has many of the features of a larger camper. The dinette converts into a bed, small galley features stove and refrigerator and there is even small bathroom. 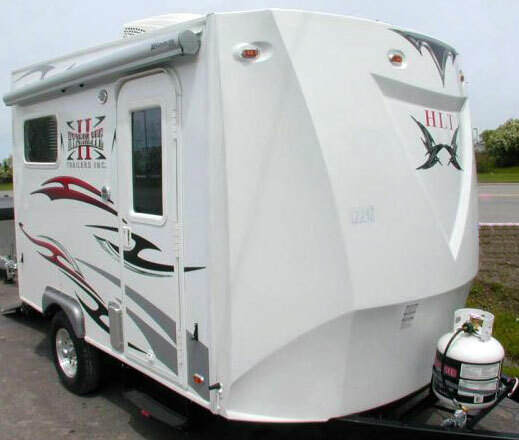 For added convenience this trailer offers an optional rear loading door and ramp to convert the trailer into a toy hauler large enough to handle any motorcycle. 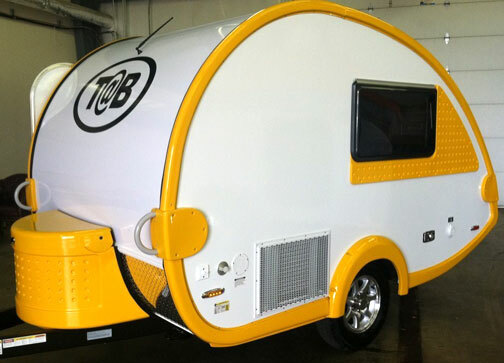 T@B Travel Trailer - Who wouldn't like it? 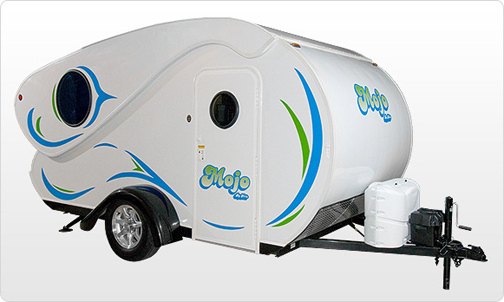 The Tab teardrop shaped trailers weigh only 1,360 pounds, but offer a range of choices when it comes to floor plans.. 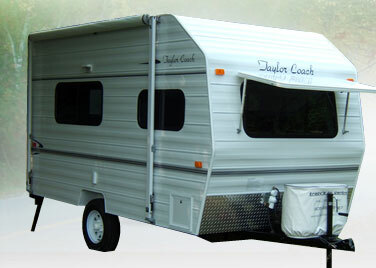 The Clamshell model features a rear kitchen, seating, plenty of storage, and an optional bathroom. Options include 12V refrigerator and ac/heat pump. Other models offer more or less seating and larger living area space. No one can deny that Hi-Lo Mojo has its own style! 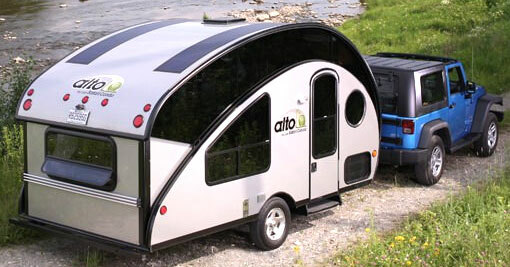 The Hi-Lo Mojo is a teardrop style trailer that is very similar to the Tab. The spring-loaded roof pops up, and the back folds into place to add extra interior space. The dinette converts into a double bed, and the kitchen features a two-burner cooktop stove and sink. The wardrobe adds extra storage. One of the great things about this 1,400 pound travel trailer is that the interior living space feels very roomy. This teardrop travel trailer weighs only 1,635 pounds but features a very innovative design that allows for up to 8 feet of headroom when the roof is raised. The galley is on one side, and the trailer has a small bathroom opposite the galley. The dinette can also convert into the bed. Multiple windows give you the feeling of being in a much larger space. The 2014 Sidekick Trillium weighs only 1,700 pounds which is a feather-like weight for the 13 foot model. The Legend package includes amenities such as 2.8cf fridge, rear table shelf, roof mounted solar panels, cable TV hookup, and lined under seat compartments. Additional options include exterior shower and crank out awning. The Hyperlite Superlite is a 1,800 pound camping trailer that has folding doors and a rear ramp that allow it to double as a toy hauler. This small, lightweight travel trailer features many amenities others don't, including a flat panel TV, refrigerator, stove top, water system, surround sound system, and more. When used for hauling, everything inside tucks away against the wall or into the front cabinets.